“No mercy for those accused of trying to topple the Islamic Republic. Britain on Thursday protested a four-year jail sentence apparently imposed on one of its senior employees at its embassy in Tehran accused of spying and fomenting violence. Among other charges, Tajbakhsh was found guilty of “acting against national security,” “spying and connections with foreign elements against the sacred system of the Islamic Republic” and “causing lack of public trust toward the official national organs and the ruling system by instigating rioting, mayhem, fear and terror within the society,” according to a statement issued by the International Campaign for Human Rights in Iran. The scholar has spent the months since his July arrest in Tehran’s Evin prison. He was previously kept in solitary confinement but was recently transferred to a villa on the prison compound, where he lived with a number of other high-profile detainees including a former vice president, Mohammad Ali Abtahi, according to the New York Times. Family and friends of Iranian American detainee Kian Tajbakhsh are shocked and outraged by the news that he has been unjustly sentenced in an extra-judicial proceeding to more than 12 years in prison and are demanding his immediate release. Kian has endured solitary confinement in an undisclosed location for nearly four months broken only by long hours of interrogations without access to his own lawyer and with only occasional brief, supervised contact with family members, who remain extremely concerned about his mental and physical well-being. The baffling charges being lodged by the Revolutionary Court linking Kian together with high-ranking Iranian reformists purportedly plotting to overthrow the regime with American support are entirely baseless. As an independent scholar Kian is neither a member of the Iranian reformist movement nor in contact with any foreign headquarters inside or outside Iran, and has had no involvement in pre- or post-election unrest. Kian has been denied access to his own legal representation and the Swiss consulate, but was nevertheless convicted within the context of an extra-judicial show trial. Therefore, attempts by Iran’s judiciary to block his release despite the efforts of senior Iranian officials to free him clearly violate not only Iran’s international legal obligations but also the constitution of the Islamic Republic of Iran. رژیم ایران میداند. کیان یک دانشگاهی و محقق مستقل است. “TEHRAN, Iran — Iran ignored appeals by Hillary Rodham Clinton and even rock star Sting and sentenced an Iranian-American academic to 12 years in prison Tuesday for his alleged role in anti-government protests after the country’s disputed presidential election. The sentence for Kian Tajbakhsh was the longest prison term yet in a mass trial of more than 100 opposition figures, activists and journalists in the postelection turmoil. At the same time, Iran allowed another defendant to leave the country – Canadian-Iranian Maziar Bahari, a Newsweek journalist arrested in the same crackdown who had been freed on bail over the weekend. Bahari’s release could be a concession by Iran to international pressure. But Tajbakhsh’s heavy sentence signaled that Tehran was sticking to a tough line overall on the political unrest. It came amid calls in Iran for the prosecution of the most senior opposition figure and suggestions that three American hikers, detained after accidentally crossing into Iran, could face charges. Tajbakhsh, a social scientist and urban planner, was arrested by security forces at his Tehran home July 9 – the only American detained in the crackdown that crushed giant street protests by hundreds of thousands of people after the June 12 election. The opposition claims the vote was rigged in favor of President Mahmoud Ahmadinejad. In Washington, State Department spokesman Ian C. Kelly said Tajbakhsh should be released immediately, saying he poses no threat to the Iranian government or its national security. Washington has repeatedly denounced his arrest. 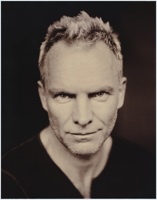 Secretary of State Hillary Rodham Clinton appealed in August for his release, and he was specially named in a call by the British rock star Sting to free all political prisoners in Iran. “As an independent scholar Kian is neither a member of the Iranian reformist movement nor in contact with any foreign headquarters inside or outside Iran, and has had no involvement in pre- or postelection unrest,” said Kilpadi, a doctoral researcher at Britain’s University of Bristol currently based in Cambridge, Mass. The appeal could open an avenue for freeing Tajbakhsh. An Iranian-American journalist who was arrested this year, Roxana Saberi, was convicted of espionage but freed on appeal in what was widely seen as a political decision to defuse tensions with Washington. Tajbakhsh, 47, had been targeted by Iranian authorities before. In 2007, he was arrested on similar charges while working for the Open Society Institution, a pro-democracy organization run by American philanthropist George Soros – a figure Iran has often cited as part of the anti-government plot. He denied the charges and was released after four months in prison. Afterward, Tajbakhsh left the Open Society Institution and remained with his family in Iran, working on a book. Weeks after his arrest in July, Tajbakhsh appeared in the mass trial of opposition figures. Many of the defendants delivered courtroom confessions to a plot to topple the government – admissions that opposition groups said were forced from them. At his turn to speak during an Aug. 25 court session, Tajbakhsh appeared to try to speak only vaguely about foreign interference in Iran, saying that “undeniably this was a goal of the U.S. and European countries to bring change inside Iran” – although he said he had no direct knowledge of any plot. The court has issued convictions against a few Iranian opposition figures, sentencing them to five or six years – all far shorter than Tajbakhsh’s, although three others accused of belonging to what Iran considers terrorist groups were sentenced to death. “It’s obviously completely politically motivated,” said Arien Mack, a psychology professor at The New School in New York City, where Tajbakhsh taught urban policy until 2001. She said that since his 2007 arrest, Tajbakhsh had focused on his academic work, avoiding politics. “FP: Do you see any sea change among Iranian-American intellectuals regarding engaging with Iran? HE: I’ll talk about myself because each of us has a different opinion on this issue. I still believe in engagement. But in Geneva two weeks ago and next week in Vienna, when [the Western powers and Iran] sit and talk, the human rights issues must also be on the table. They should not just focus on the nuclear issue. That’s what the Iranians would love to do. But no, they should also talk about the human rights issue, because it’s very important. Campaigners are also concerned for the safety of Kian Tajbakhsh, an American-Iranian scholar said to be under pressure to confess involvement in an alleged western plot to orchestrate the protests following Mahmoud Ahmadinejad’s re-election. These false accusations are entirely groundless. Those who know Kian understand that his persecution by Iranian authorities is not only tragic but ironic—as a social scientist and urban planner he has always sought political neutrality in an effort to bridge cultural divides and honor his much-loved homeland. His work is a valued asset that the Government of Iran should seek to protect. We are concerned that Kian is being held in an attempt by the Iranian authorities to obtain forced statements from him to use in a televised show trial. It is exceedingly important that we all strongly denounce Iran’s serial practice of extracting forced statements from political prisoners. Such statements are repeatedly extracted under conditions of torture for the sole purpose of staging televised show trials in an attempt to deceive the Iranian public.